Listening well requires you to pay attention to both verbal and nonverbal cues. It’s easier to spot these clues if you talk face-to-face or by video chat than by simply sending an email. The more you can read between the lines to the things people want to say but hesitate to bring up, the easier it will be to cut to the chase, communicate more clearly and run your business more effectively. Let’s say you’d like an employee to take on a big project that’s going to involve a lot more responsibility. While your employee might respond to an email request to tackle it by saying, “I’m on it!” However, deep down he might not want to do it ( Or say to himself, I would be ‘on it’ if you gave me training and the tools I need to do this project correctly). Contrast that an in-person meeting or video chat, where your employee says, “I’m on it!” But you could see on his face that he a was a little hesitant. You could respond with “You look concerned. Do you have a question?” The power of body language when you are face to face is invaluable in getting you and your team on the same page. Foster a Culture of Autonomy. As the leader of a company, it’s easy to just do things yourself without outside input, as you did in the startup days. But you can’t grow your business to its full potential without giving your employees autonomy. One great way to develop better listening skills as a leader is to be intentional about giving others the power to speak and share their insights. An easy tip to implement is for you to take 10 minutes each day to step away from the important business that’s coming across your desk to wander around and chat with your team. The truth is, “management by walking around” is one of the best ways to get the pulse of your business and get in front of issues like poor morale. Not sure what to chat about? Asking a “kickstart question” like: “What’s on your mind?” or “What could I do to help you achieving your goals today?.” It’s a good way to allow the other person to choose what they want to talk about and start a real conversation right away, as Michael Bungay Stanier recommends in The Coaching Habit: Say Less, Ask More & Change the Way You Lead Forever. 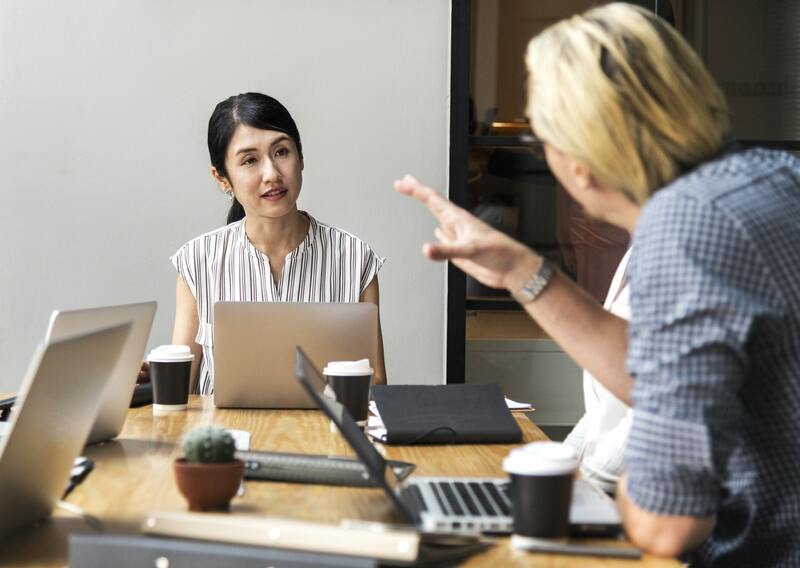 Your employees will often volunteer information that’s mission-critical if you let them know you’re willing to let them “drive” the conversation. Don’t rush to fill in silences. Many of us feel awkward when there is a pause in the conversation. Learn to get over it. When you ask an employee, customer or another stakeholder a question, train yourself to put yourself on “mute” for a few minutes, the way you might if you were on a phone call and there was a lot of background noise. By giving the other person a little extra time to respond, you’ll gather more information than if you rushed to fill the gaps in the conversation. If someone important to your business is sharing ideas, don’t hesitate to pull out a notepad and write down the key takeaways so you don’t forget them. As a leader, you have a lot of “inputs” every day, and it’s easy to overlook some of them. Most people will be flattered that you cared enough about what they had to say to write it down. And you’ll be better able to act on any suggestions they made later if you have good recall from the conversation. Keep practicing your listening skills. Many of us are so tuned into what’s on the screens in front of us that our listening skills are very rusty. Get into the habit of listening to a podcast or audiobook when you’re out for a walk or on your morning commute to get back into practice. Adopting this habit is a good way to sharpen your listening “muscles.” And there’s a nice side benefit too: It’ll give you more opportunities to plow through some of the material you’ve been trying to read but never get around to. Instead of feeling guilty about all of the books on your nightstand, you’ll be hunting for new material in no time.